Welcome home!! Your Seven Hills gem in a desirable Gated community. 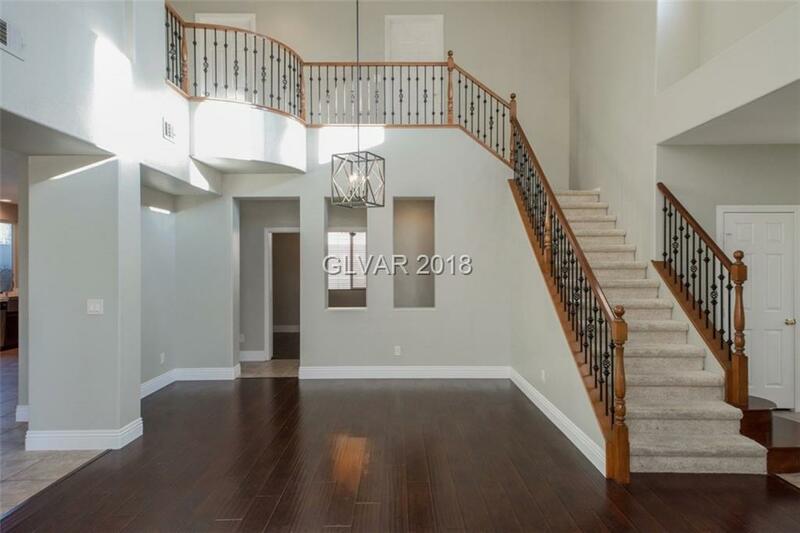 Located near Sonata Park, this beautiful 2,855 sqft home features 5 beds, 3 bath, 3 car split garage. When first walking in you are greeted by a grand entrance with vaulted ceilings. The open kitchen has quartz countertops with stainless steel appliances. Thoughtfully and tastefully upgraded throughout. Private backyard with no neighbors behind. Your dream home is ready for you! Directions: From Eastern And St Rose Head West On St Rose, South On Seven Hills, Right On Arbella Through Gate, Left On Formia, Right On Sabatini To Property.